This very special and rare Mod.50 T.S. joins the Legnano Collection with my special thanks to Mario Erlotti of Albignano, Italy. Mario was also responsible for the very fine 1950 Frejus Superleggera that joined the collection in June of 2016. Mille grazie Mario! The Mod.50 was Legnano’s top-of-the-line ‘Sportivo’ model and there are several fine examples in the collection from 1959, 1960 and 1967. I would also suggest that the Mod.50 was one of the finest condorino models across all of the Italian manufacturers. The T.S. 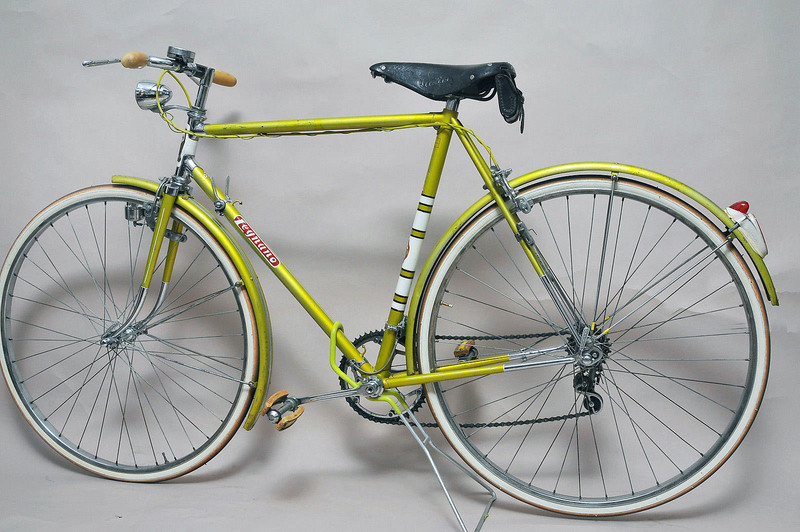 was a special version of the Mod.50 that was only produced for a few years and it was essentially the last stop in the model lineup before the Mod.53/54 and Gran Premio road bikes, and I suspect it was very close to being of a similar price. The differences between the Mod.50 and the Mod.50 T.S. are few but significant. 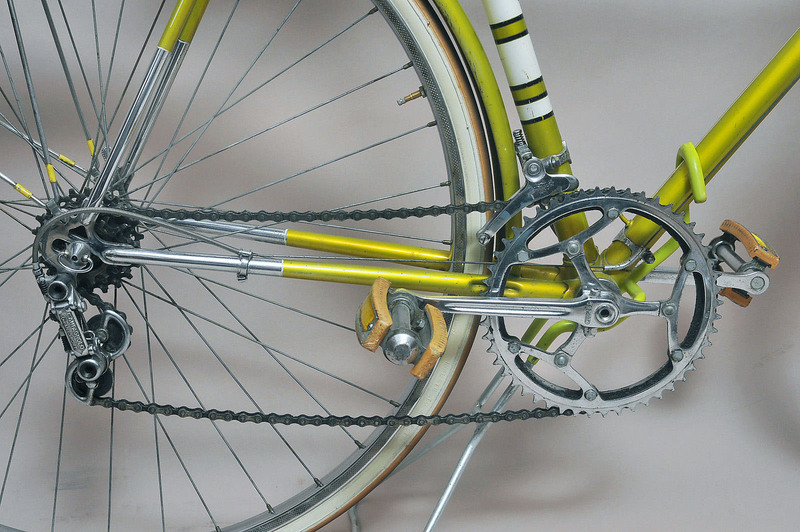 Most notably, the Mod.50 was a 4-speed setup, fitted with the Campagnolo Sport (1013/2) rear derailleur and a single Campagnolo Sport (1013/6) shifter with a brazed mount on the right side of the downtube and a Campagnolo Sport (663) cable guide brazed on the top of the bottom bracket. The Mod.50 T.S. was a 10-speed setup (47/50 chainrings), fitted with Campagnolo Gran Sport front (1005/2) and rear (1012/4) derailleurs, and Campagnolo Gran Sport (1014) double shift levers clamped to the downtube along with a Campagnolo (626) cable guide ahead of the bottom bracket. 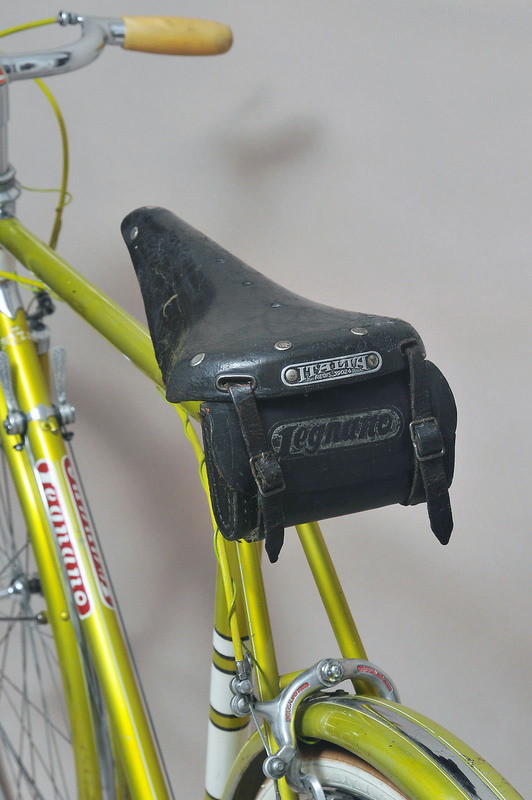 The chain guard and the brazed-on seat stay mounting tab was also omitted from the T.S. model. And according to the 1961 catalog, the T.S. model was fitted with a leather saddle. The only cosmetic difference was the Mod.50 T.S. decal on the downtube just behind the lower headtube lug. The Mod.50 T.S. was fitted with the same steel mudguards as the standard Mod.50. It would have been nice if they had fitted the aluminium mudguards that were used on the Gran Premio and Roma at that time. The Italia leather saddle (later Sella Italia) that was fitted to the Gran Premio model in those years was another of the upgrades to the Mod.50 T.S. 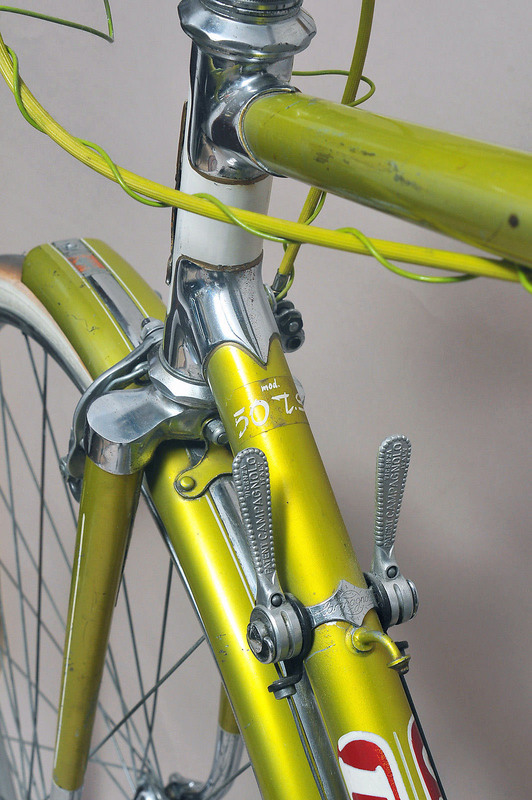 The overall fitting of the cockpit including the beautiful ‘condorino’ handlebars with integrated brake levers were common to both the Mod.50 and the Mod.50 T.S. 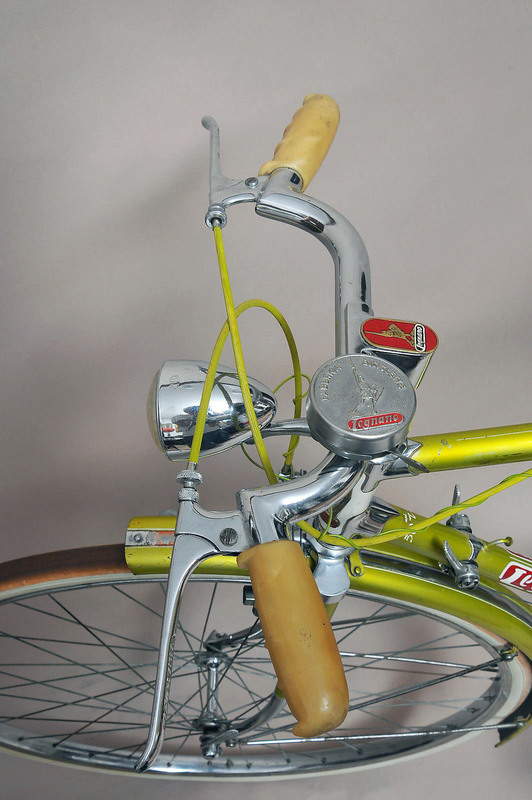 I am still trying to confirm if the beautifully finished condorino handlebars were produced by Varese or another company. The Way-Assauto double chainring steel crankset (47/50t) branded for Legnano that was fitted to the Gran Premio model at that time was another of the upgrades to the Mod.50 T.S. The Way-Assauto street pedals were common to both the Mod.50 and the Mod.50 T.S. The Mod.50 and the Mod.50 T.S. 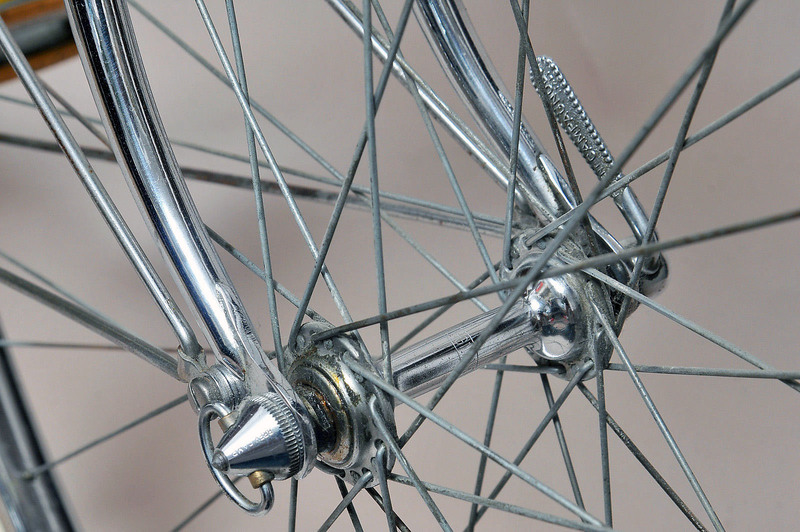 shared the same Campagnolo Sport (1006) low flange hubs branded for Legnano (front and rear) that were also used on the Gran Premio in 1958 and 1959. 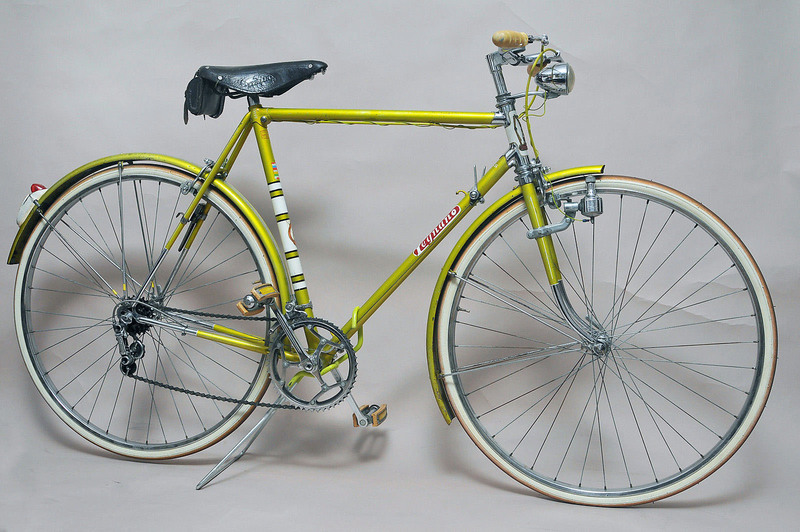 On or about 1960 the Gran Premio was upgraded with the Campagnolo high flange Record hubs branded for Legnano as per the Roma. The S.E.B.A.C. (Mod. 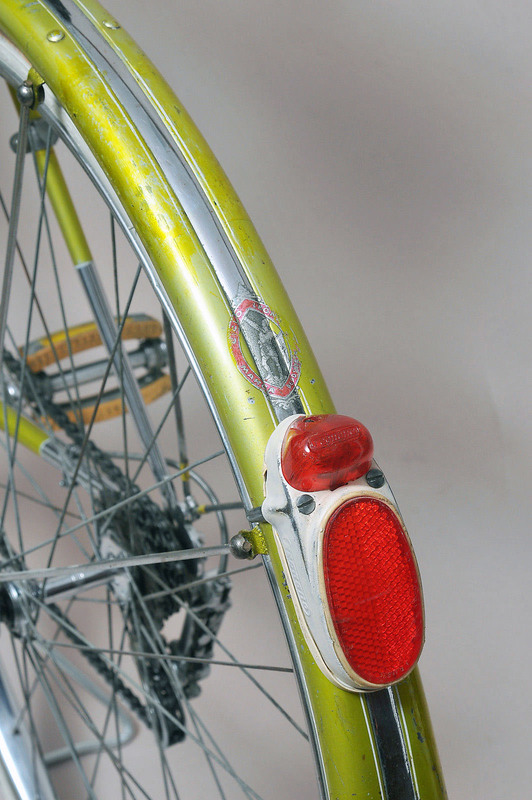 Astor) fender-mounted tail light was also branded for Legnano and is powered by the generator on the front fork. 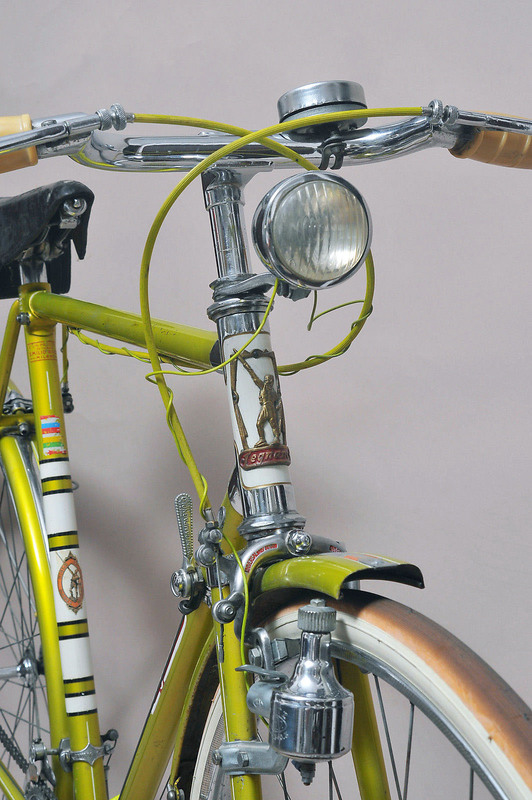 This entry was posted in Bici Epoca, Condorino, Emilio Bozzi, Uncategorized and tagged #biciepoca, #emiliobozzi, #mod50, Condorino, Legnano. Bookmark the permalink.